The Cavaliers had maybe the wildest trade deadline day in recent NBA history. 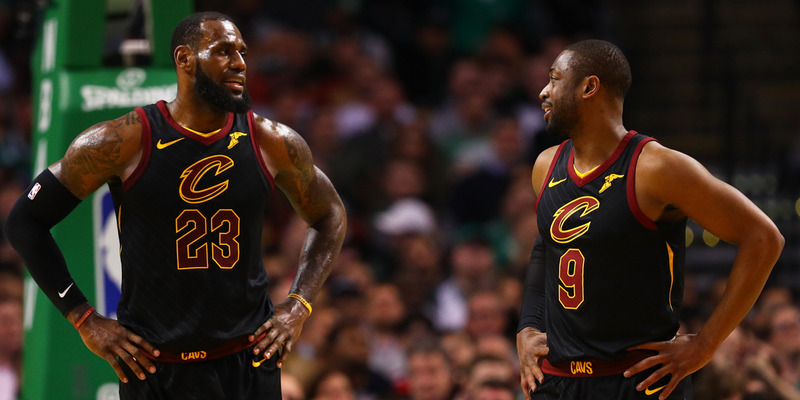 Just minutes after trading All-Star guard Isaiah Thomas to the Lakers, the Cavs sent Dwyane Wade back to Miami just four months after his reunion with LeBron James. All told, the Cavaliers reshuffled half of its active roster to other teams before the deadline. The Cleveland Cavaliers had one of the wildest trading sprees in recent memory. Just hours before the trade deadline, the Cavaliers announced that the team would be sending recently acquired All-Star point guard Isaiah Thomas to the Los Angeles Lakers along with Channing Frye and the Cavs first round pick in 2018, in exchange for Jordan Clarkson and Larry Nance Jr. Chaos ensued in the minutes that followed, as more trades became public by way of ESPN’s Adrian Wojnarowski, including a deal that sent Dwyane Wade back to the Miami Heat for a second round draft pick. The move comes just four months into Wade’s reunion with LeBron James in Cleveland, after being bought out and signing with the Cavaliers just before the start of the season. The deals didn’t stop there – when the dust began to settle, the Cavaliers had traded half of their active roster in an attempt to reload for another run at the Finals, while also keeping in a position to compete should James choose to leave in the offseason. The blockbuster moves come the day after the Cavaliers overtime win against the Timberwolves, which James won at the buzzer. Going into the game, the Cavs had lost 13 of their previous 19 games, and tensions were reportedly running high in the locker room. With a brand new locker room, the team will have to get settled in with each other quickly before attempting to make another push for the playoffs.